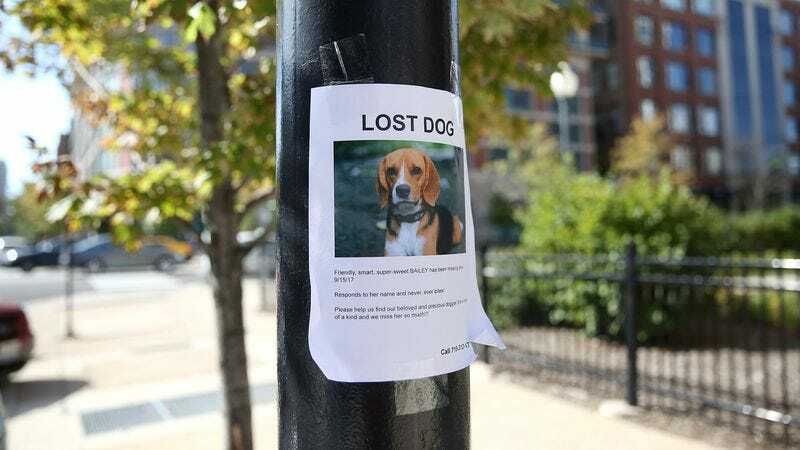 BROOKLYN, NY—Claiming the flyer could really stand to tone it down a little, sources said a lost dog poster that began appearing in Brooklyn’s Fort Greene neighborhood Tuesday was really tooting the dog’s horn. “Friendly, smart, super-sweet BAILEY,” read the poster that reportedly would not shut up about the “beloved and precious” animal that, observers noted, was nevertheless somehow allowed to slip out of the house. “Responds to her name and never, ever bites!” At press time, several sources reported seeing a dog similar to Bailey running in and out of traffic like an idiot.